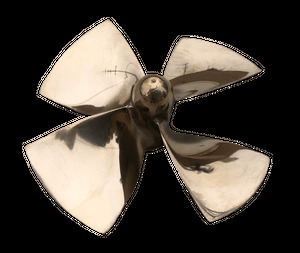 Here you can find special propellers such as kort nozzle props and surface cutters. 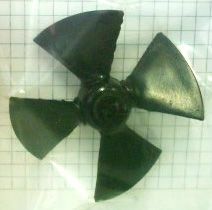 Kort Nozzle Propeller, 3.25" Dia. These perfectly cast brass props are the highest quality available in the world for model props. All one solid piece of brass with a bullet hub. 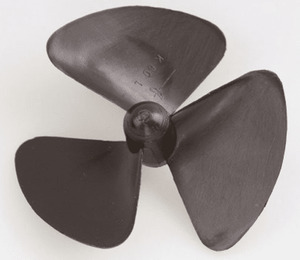 This prop fits perfectly into the two and three shoe kort nozzles found on the Propulsion Page. Find quick links below. This prop works great on the Nautilus and other modern submarines. This prop fits perfectly into the RO1487 kort nozzle set. Provided in black plastic with a metal threaded insert for the shaft. Left only. No right hand remain in stock. The left hand prop is the one featured in the image. 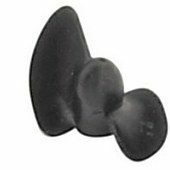 Replacement prop for Graupner 2335 Z-Drive.